The Holiday Collection is a curation of our best-selling readers and stylist picks for the winter season. 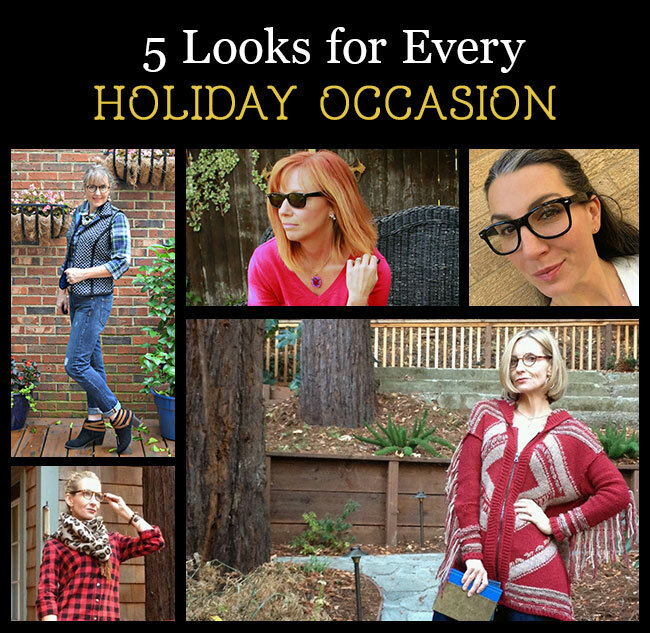 Check out how some of our favorite style bloggers incorporated readers from our Holiday Collection into their winter looks. The best part — now you have an outfit for every holiday get-together this year! We love how Dawn of Fashion Should Be Fun mixed patterns in this look. It’s a fun and playful outfit that’s perfect for a casual holiday outing. Chances are you have lots of dinner parties planned with friends and family over the next few months. 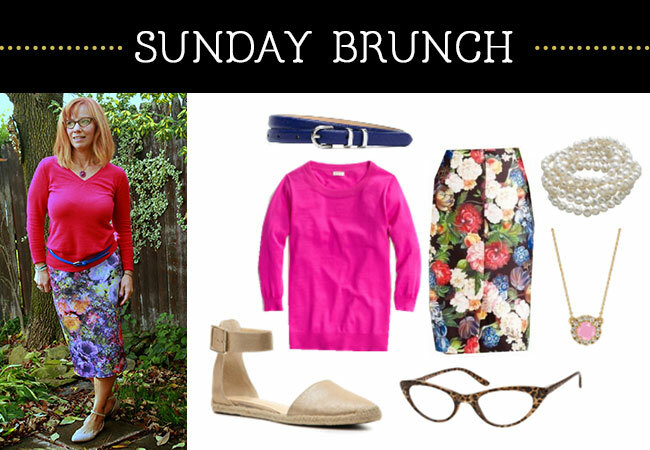 This outfit is a great go-to, but don’t forget to pack your readers so you can clearly read the menu! Dawn chose the Ivy League Bifocal in black and tortoise to complete her look. Brunch is the perfect time to catch up and celebrate the season with friends, especially if your nights are booked. Just because it’s winter doesn’t mean you should stop wearing bright colors and floral prints. We love Debbie of Fashion Fairy Dust‘s cold-weather ensemble. Don’t forget to throw a pair of readers in your bag (Debbie chose The Brit readers for her purse companion). Grab a coat on your way out the door, too! Sometimes the best winter nights are spent cozied up by the fire with the company of your closest friends and family. The best part? You don’t have to overthink what you’re going to wear! Go for something comfortable (and keep a pair of booties close by in case you end up outside the house). With her oversized fringe sweater and a pair of our Bookworm readers, Dawn of Fashion Should Be Fun knows exactly how to dress for a night in. 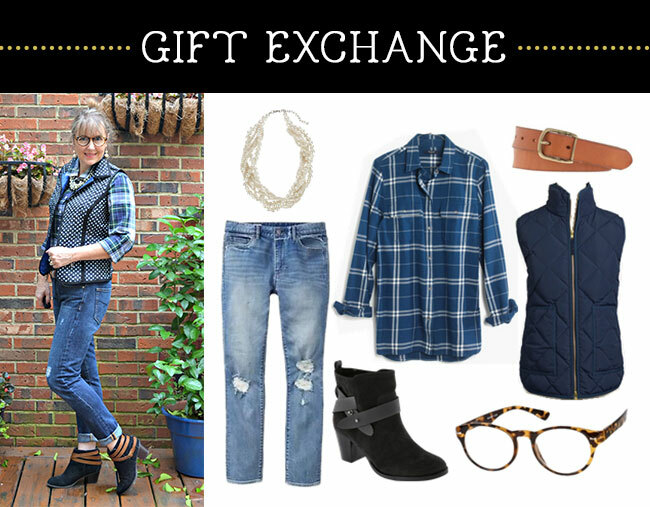 Whether you’re hosting a Secret Santa or white elephant gift exchange this year, you want your look to feel both casual and trendy. 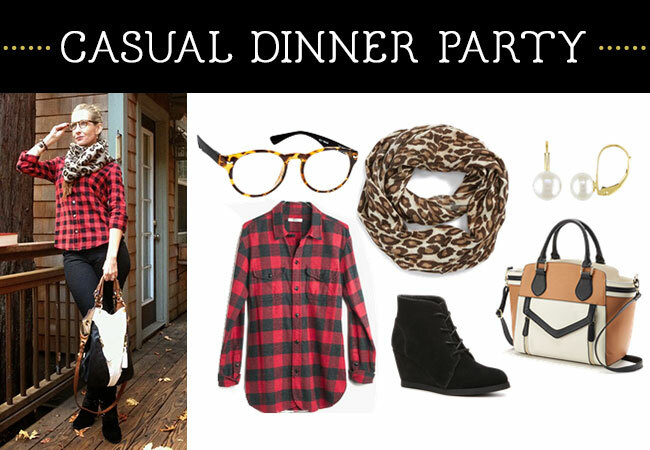 You’ll be set with a winter vest, plaid shirt, and pair of booties. Brett of Silvergirl totally nailed this look! We love how she dressed it up with a pearl statement necklace and accessorized with our Ivy League Bifocals in tortoise. Grab a coffee or hot chocolate at your local coffee shop, and don’t forget to bring your favorite holiday book to relax with or invite a girlfriend for a morning chat. Throw on your favorite pair of jeans, your go-to white blouse, a classy (and warm) coat, and of course, The Dean readers for a scholarly look. 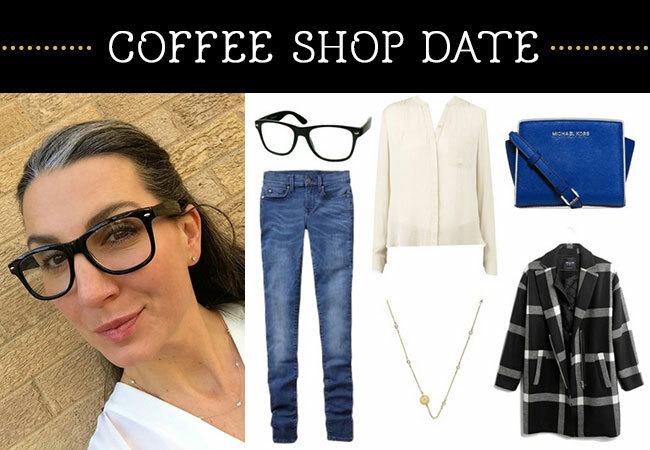 Kristin of Highland Fashionista‘s simple look is perfect for a quick coffee shop get-together. What’s on your holiday calendar, and most importantly, what’s your go-to outfit? Let us know on Facebook! Visit our Holiday Collection for the season’s most popular reading glasses and reading sunglasses.